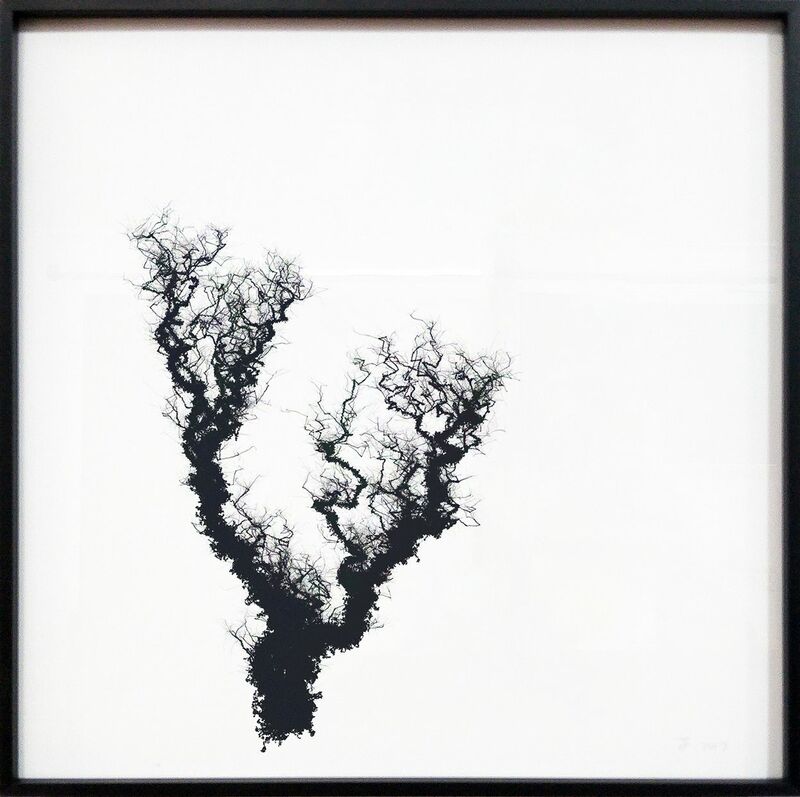 A series of drawings, made with a generative algorithm. Each work starts out as a single tiny dot, and over time, as the ants explore outward, lines are drawn. Once an ant reaches the end of its lifespan and dies, a new one is born at the root of the tree. It first follows the first scent it can find, and then continues exploring further, in a direction it's most confident about. Over time the scent gets distorted, uncertain, and eventually disappears beneath thousands of fresh traces. The visual result lies somewhere between lightning, roots, and branches. The tree gradually grows, from that first point, to an intricate tangle of branches 20, 000 generations later. The works are each printed in the exact same scale. Larger pieces are older trees, while the smallest ones are as few as 1600 generations.